What’s actually in the Bible? Where do we find the story of Moses or Jesus’ parable of the Prodigal Son? 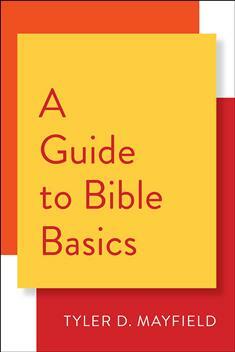 A Guide to Bible Basics discusses important people, places, and terms for each biblical book so that the reader can quickly see its primary focus. This accessible and concise book introduces the content of the Bible without theological, historical, or literary commentary. Tyler Mayfield provides a summary and chapter outline of each biblical book so as to facilitate quick comprehension of its fundamental story and subject. This book can be used alone to aid readers in their knowledge of the Bible and is great for beginners or those in need of a refresher course.